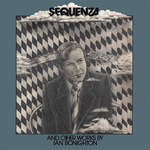 Sequenza : and other works by Ian Bonighton / Ian Bonighton. Ian Bonghton can claim an important place in Australian musical history. His musical training was entirely local, his compositions were almost all written for local performances, and he ventured abroad only at the end of his life. His career was uniquely Australian, and his works are rare examples of musical talent fostered in the Australian environment. His music deserves an audience - it has a distinctive personality. While he never strove consciously to make his music 'Australian', it is uniquely so; and listeners who compare it with European or American works of the same era may sense a subtle but unmistakable difference of flavour as well as personality differences.